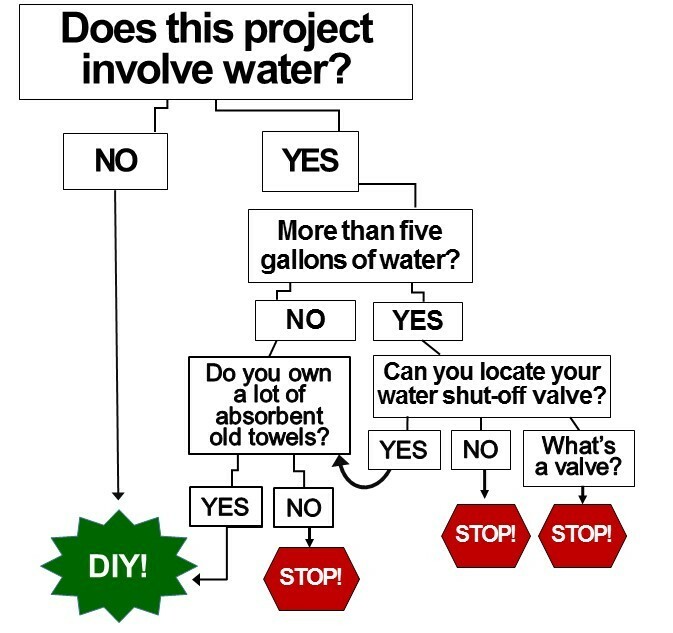 Do-It-Yourself or Call a Pro? 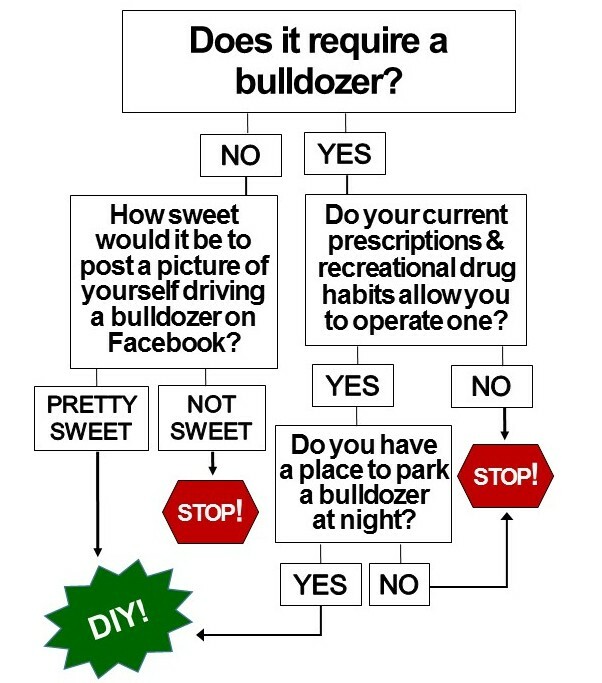 Use this Fun & Free Flow Chart to Decide! Doing a home improvement project yourself is a great way to both save money and feel better about having no marketable job skills. Most of us know that for highly specialized tasks like pediatric dentistry or political assassination, it’s best to hire a pro. But what about those grey areas, where maybe you COULD do it yourself – sort of – with the help of a YouTube video? 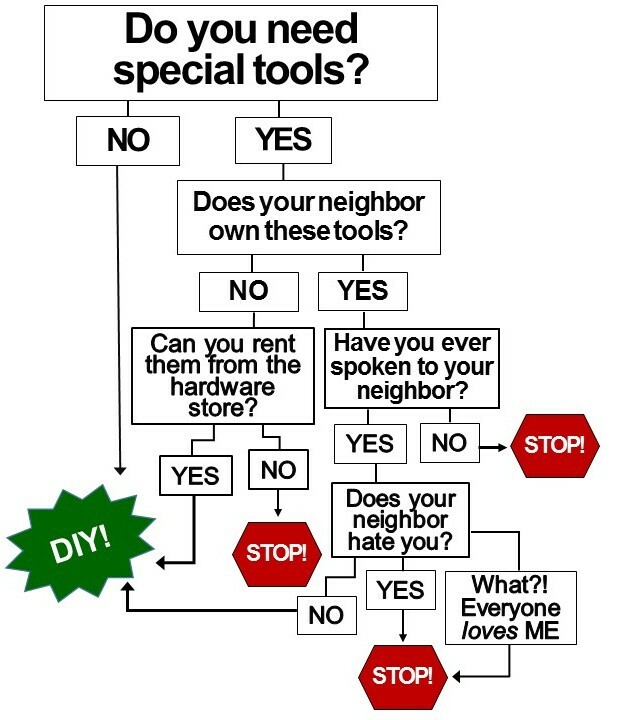 How do you decide when to give in and call the handymanperson? 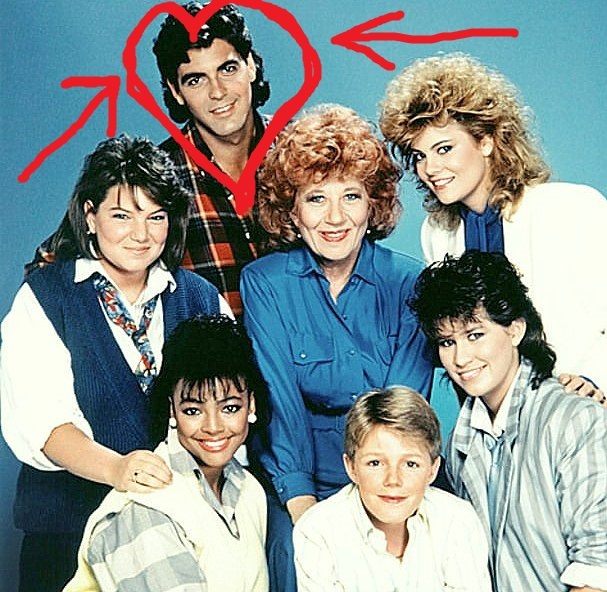 George Clooney, the ORIGINAL droopy-eyed, flannel-wearing heart-throb handyman. Personally, I struggle to make even minor decisions without the help of a flowchart, or “FLHART” for short. 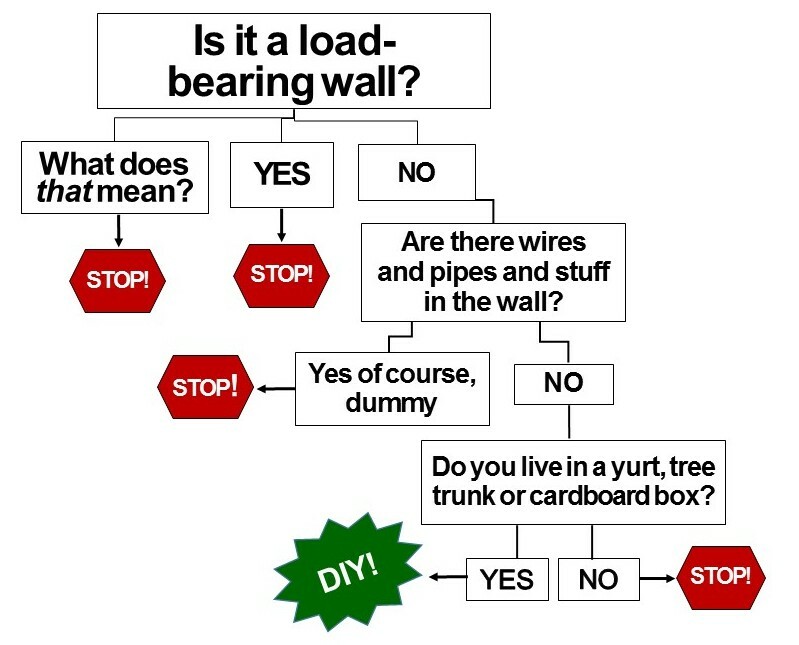 Here’s a few FLHART that I’ve developed to help me decide when to pick up my (neighbor’s) chop saw, or pick up the phone to call a pro. For example, a couple of weeks ago, our water heater started spraying gallons of steaming hot water out of its T&P valve. The fact that I could identify the T&P valve suggested to me that I could fix it myself. Was I delusional? *** Let the FLHART decide! Sometimes you have the know-how and YouTube videos to do the job yourself, but simply lack the specialized tools needed to dig that hole or weld that I-beam to professional standards. How do we proceed, FLHART? 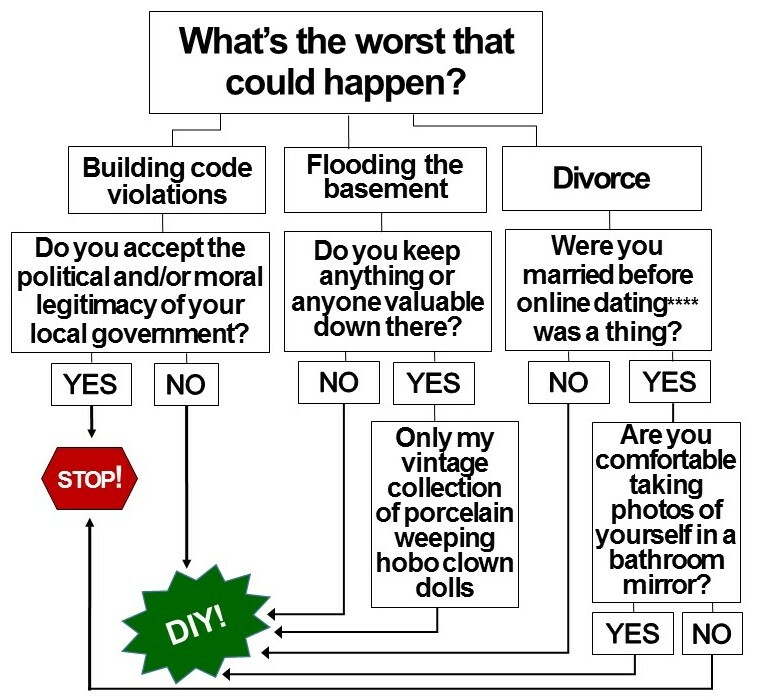 We did call the pros to tear down our garage, but it left a big dent in our social media presence. What kind of loser posts a picture of a total stranger driving heavy machinery through their back yard on Instagram? When faced with a sticky life problem, I keep from asphyxiating on my own stress by asking the simple question, “What’s the worst thing that could happen?” This usually helps me put things in perspective. Except when the answer is moving my family to the underside of a bridge, or having to wear pantyhose. * These suggestions were usually whispered into our ears, as if undercover agents from the Buildings Department had infiltrated my kid’s 4th birthday party looking for amateur tree cutters plotting to destroy a dying Blue Spruce without a permit. ** Due to the overhead electrical power lines and the high risk of death, we hired professionals to do the job. *** Spoiler alert: Scott convinced me to call a plumber, wisely pointing out that the water heater was 25-years-old, and that we didn’t want to set a precedent of allowing barely working 25-year-olds to live in our basement. **** I tried to go on a real date once when I was 21, and over dinner my date announced, “You’re not fat now, but I can tell by looking at you that you’ll be fat in a few years.” Instead of dating, I much prefer to develop irrational, all-consuming secret crushes on people I already know, and if I’m lucky, eventually marry them. This is wonderful. I’m trying hard not to develop irrational, all-consuming secret crush on you :). Sorry to hear about your back! Sometimes I think humans weren’t meant to walk upright after all. Physical ability is definitely part of the equation with DIY, and I’d rather let somebody else risk their back/knees/neck/brain cells than me. On a side note, I found digging holes by hand to be strangely satisfying, and even somewhat kind to my back (I have a herniated disk). The power auger was just plain spooky. These are lifesaving FLHARTS! Take my word for it, as you get older and your body rebels more and more you’ll need a new FLHART to figure out if your body can handle that new DIY home improvement project. My husband and I, while still rather physically fit for a couple of almost-senior-citizens, are turning more and more to young professionals to do jobs that we used to attack without hesitation. It’s good to give the kids a purpose in life!